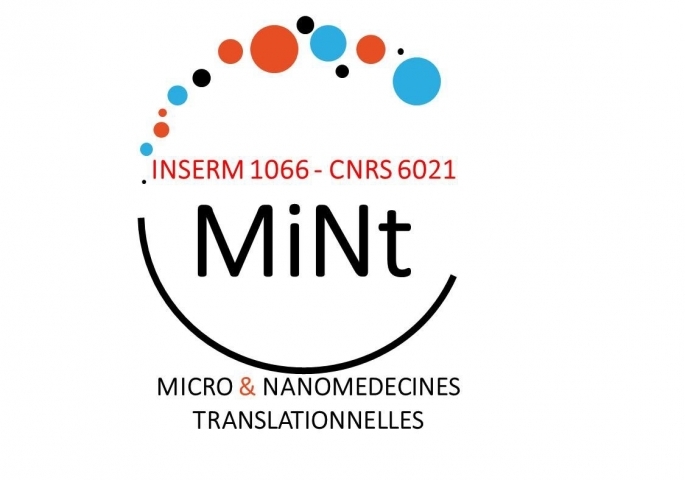 The MINT laboratory is funded by the University of Angers, as well as the French National Institute of Health and Medical Research (INSERM) and The French National Center for Scientific Research (CNRS). Located within the Hospital Facility, the MINT laboratory consists of 40 researchers and PhD students with expertise in diverse fields including : colloids and inferfaces physio-chemistry; galenic chemistry for pharmaceutical formulation; biological research; and imaging. All our research is focused on the design of nano- and micro-scaled vectors for the delivery of therapeutics (encompassing proteins, anti-cancer drugs, DNA, SiRNA, etc.) and/or imaging probes.